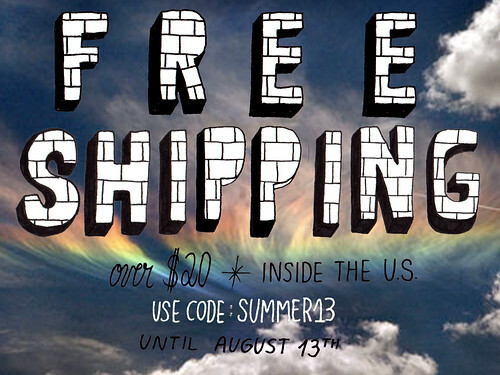 High in the Bay has a summer deal going on, spend 20 bucks and get free shipping, woohoo! Enjoy! This entry was posted in HIGH IN THE BAY and tagged art, bigcartel, diy, hand painted mugs, high in the bay, mildred, pacolli, sale, san francisco, screen printed, t-shirts, zines. Bookmark the permalink.